One of the most rewarding aspects of living in a multicultural society like Australia is the remarkable diversity of music that we now get to hear. African, Eastern European, Arabic, Latin, to list just a few - these are the rhythms and melodies of a vast global symphony that has done so much to enrich our own musical landscape. 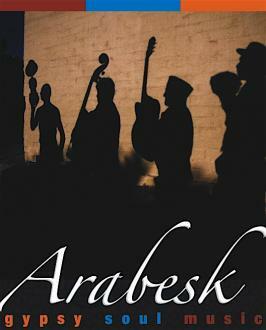 Arabesk are a Sydney based quartet who have adopted many of these disparate international sounds and moulded them into their own unique style. Theirs is a journey of constant discovery that has taken them from the tradition steeped back streets of Eastern Europe to the bustlings bazaara of Turkey. Added to this potent worldly brew are a list of influences that include luminaries such as guitarist Django Reinhardt, jazz drummer Elvin Jones, Tango master Astor Piazzola and bassist Stanley Clarke.